“What’s Your Story?” Entre-SLAM Storytelling Workshop for Entrepreneurs. 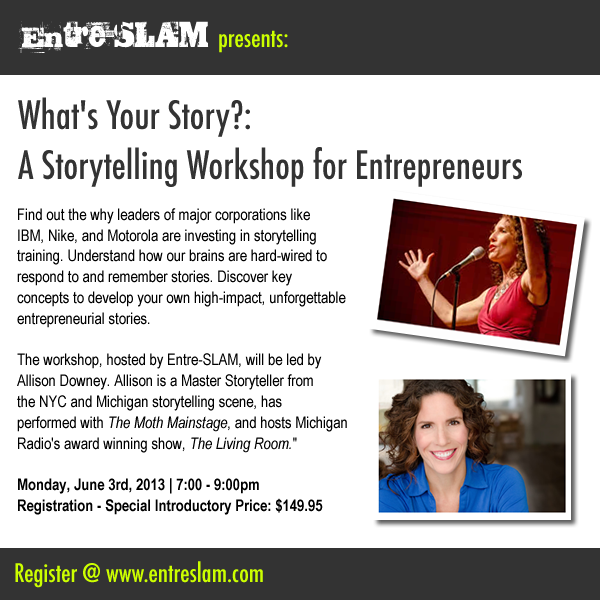 Register now for Entre-SLAM Storytelling Workshop on June 3rd, 7-9pm, Ann Arbor, Mi. Are you an entrepreneur looking for tools and tips to tell the story of your business? I’m thrilled to lead the first Entre-SLAM workshop for entrepreneurs. This entry was posted in News, Storytelling by Allison Downey. Bookmark the permalink.